Home / Getting Started / What are debug logs and how do I use them? What are debug logs and how do I use them? 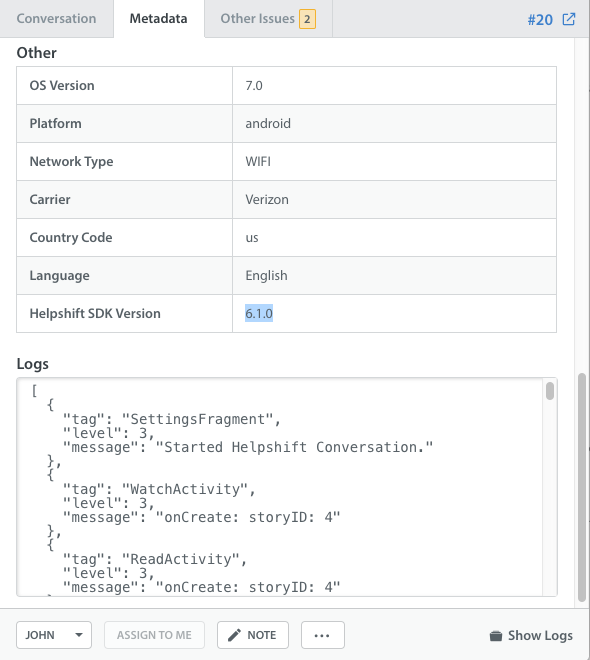 Debug logs are system-generated logs that are sent to your Dashboard along with every new conversation. They only appear if your developers have configured them in the SDK for a given game/app version. When configured, they appear under the metadata tab in the Issue details pane. You can add additional debugging statements to your code, and see exactly what the user was doing right before they reported the issue. To learn how, see our developer documentation for iOS and Android. In cases like crashes, developers can use these logs to debug what went wrong and when.